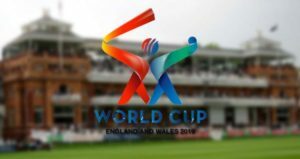 ICC Cricket World Cup 2019 is the twelfth edition of the Cricket World Cup which is scheduled to be organised from 30 May to 14 July 2019. England and Wales will host the biggest cricket tournament in the world. The Oval will open the tournament of 48 games. However, the final match will be played at Lord’s. It is the fifth occasion, after 1975, 1979, 1983 and 1999, that the Cricket World Cup will be held in England and Wales. Here we go with the complete schedule.